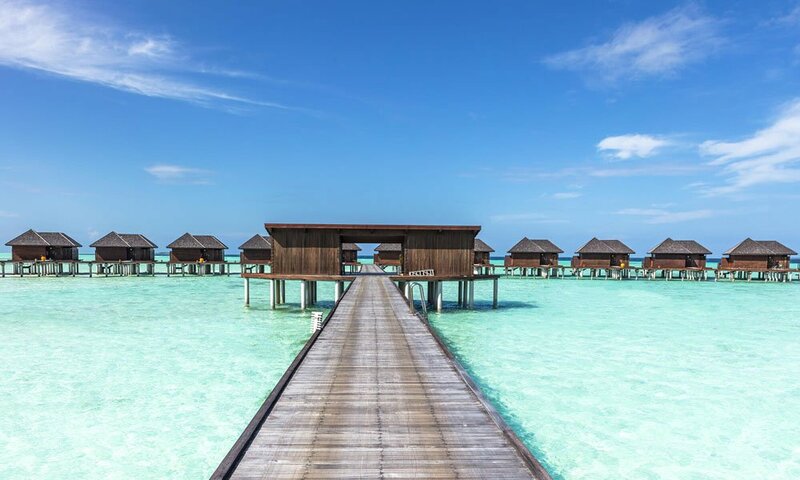 When most Airline Staff think of themselves surrounded by crystal clear, turquoise waters, pristine sandy beaches lined with ever-so gently swaying palm trees, it’s usually places like the Maldives they’re imagining. 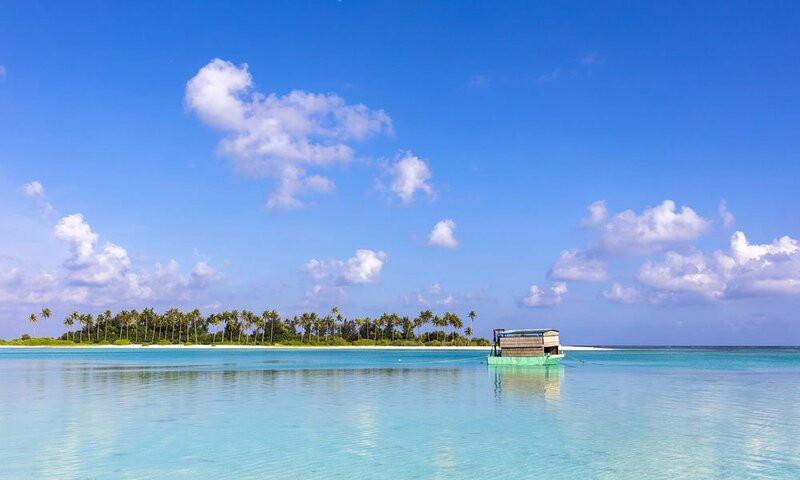 After my first visit to one of the island nation’s many beautiful atolls – just under an hour from the Maldivian capital of Malé, I can totally relate to that description. 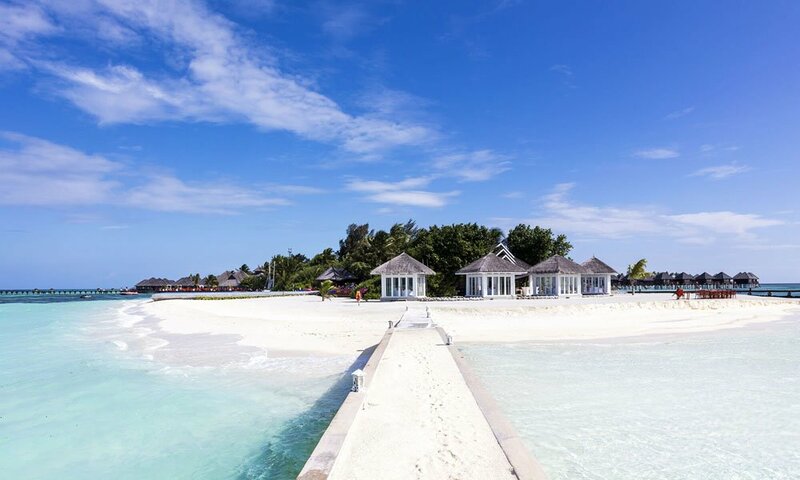 The resort is located on the South Malé Atoll, which is only a 45 minute speedboat trip from the capital’s international airport. 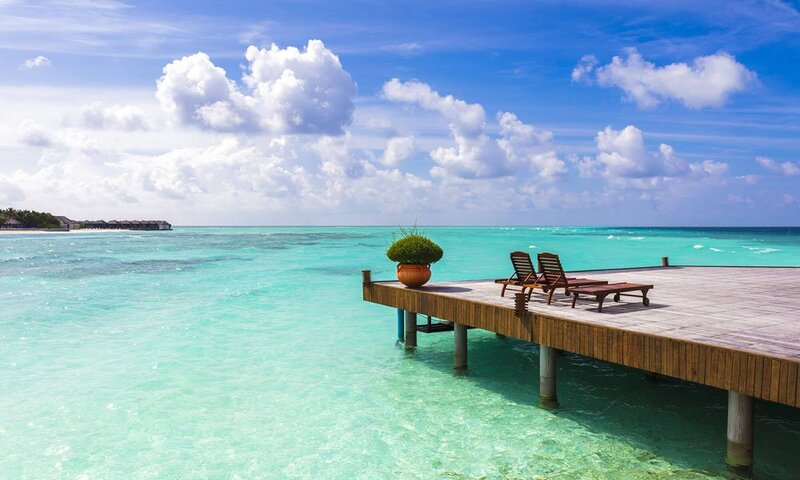 As soon as the boat arrived, like all my fellow passengers, I was instantly overwhelmed by how intensely turquoise the water around the resort’s pier was. It looked surreal, like the bottom of a gigantic swimming pool. Turns out that it actually takes a couple of hours of walking around the small island before your eyes adjust and your mind accepts how truly beautiful and colorful everything is. It’s really like a dream. 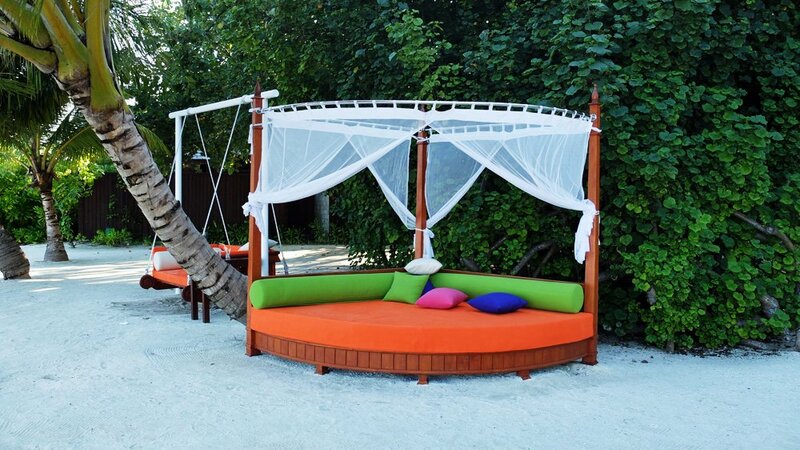 As a resort, the Olhuveli offers all you can possibly need to enhance your stay even more, including all kinds of outdoor activities (like tennis, badminton, table tennis, billiards) and plenty of excursions (including, diving trips, parasailing, whale watching). 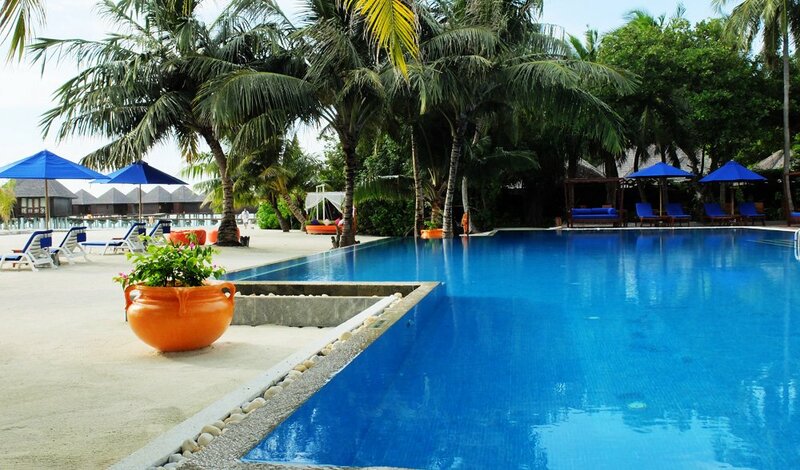 And the resort has several venues where you can enjoy meals and drinks at. The roughly 400 staff are welcoming and helpful and services is as can be expected, attentive and friendly. Most speak English quite well. The variety of food on the enormous buffet – which is served three times daily in the dining hall closest to the pier, is wide ranging and offers both regional specialities (including several tasty Indian dishes) and a multitude of international cuisines. 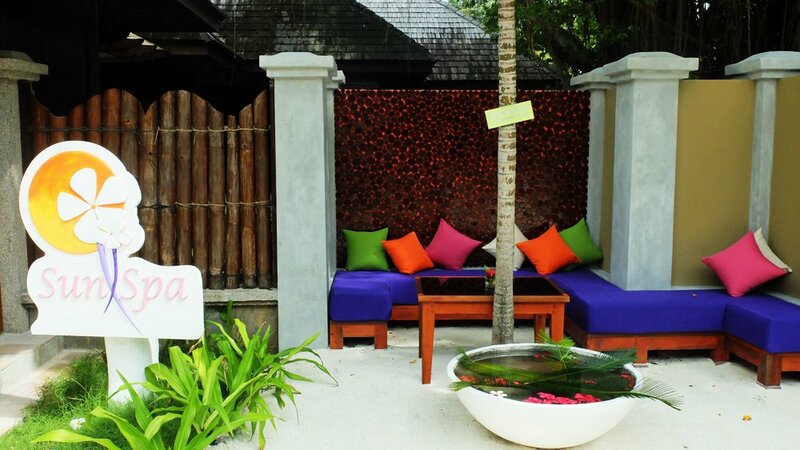 Though enjoyable, it’s still not very likely that it’s the food that convince most guests to choose the Olhuveli Resort. It is more likely the amazing nature experience. 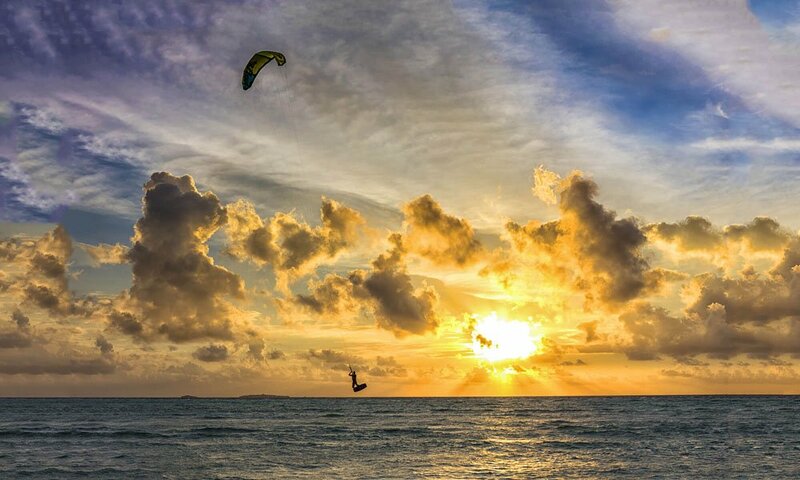 For this particular atoll has what is generally considered to be one of the entire country’s most picturesque, romantic lagun beaches with an amazing sea view and several accommodation options to choose from, all depending on your desire and budget. 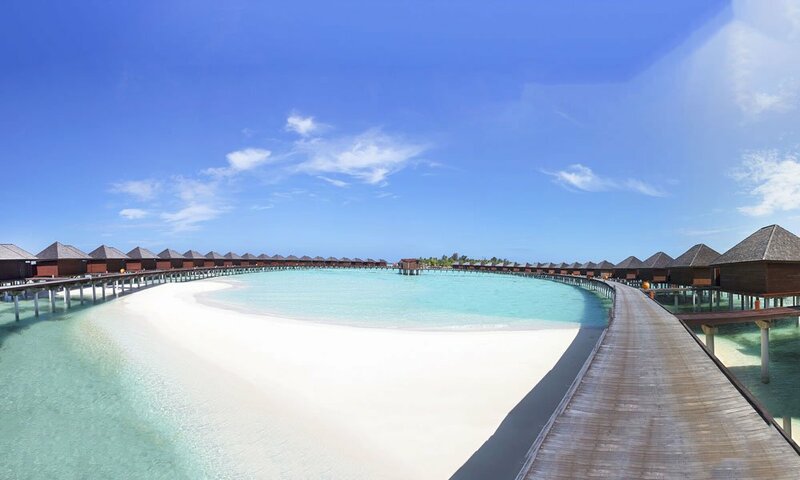 From water villas (standing on sturdy poles in the ocean), deluxe rooms in the garden and beach villas, some even come with a jacuzzi. 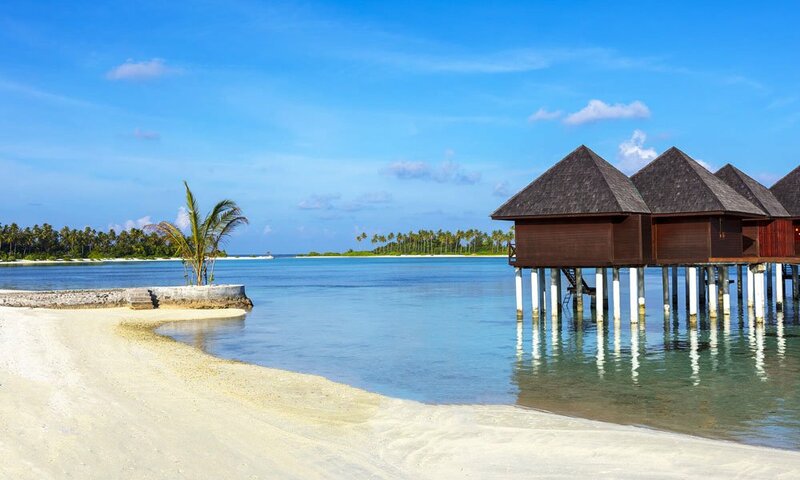 There’s of course honeymoon villas and even a presidential water villa available with a huge master bedroom, ensuite bath and a generously large guest room as well as a small pool and kitchenette. 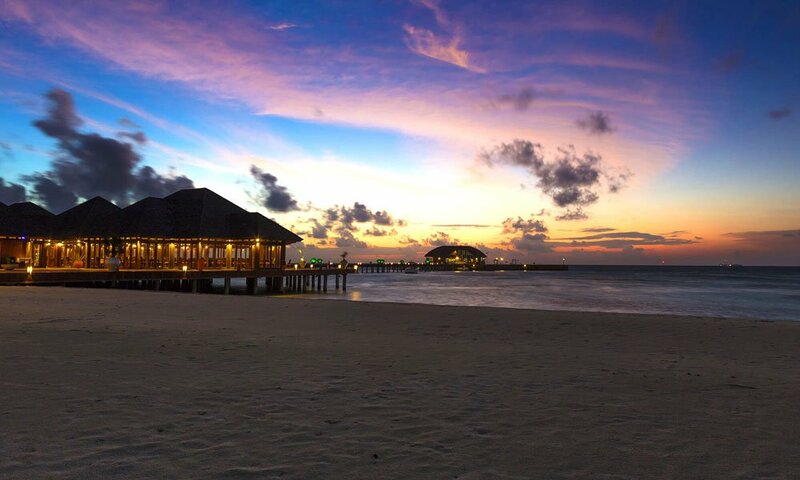 Regardless of however you decide to enjoy the Maldivian experience, rest assured that you won’t be disappointed. It’s just as beautiful as you expected. And then some. 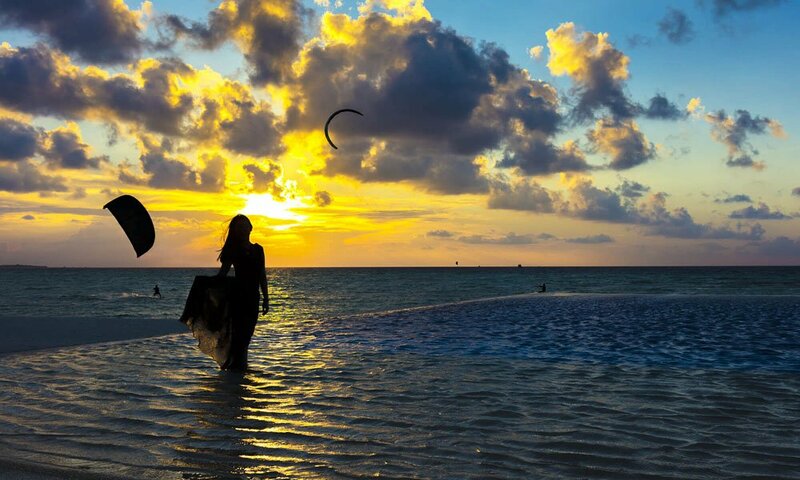 While most people keep to themselves, especially the many honeymooners, it’s still easy to socialize and enjoy a pleasant conversation with fellow guests during, for example, pre dinner drinks in one of the resort’s beach or pool front bars – where you’ll also get to enjoy amazing sunset views. 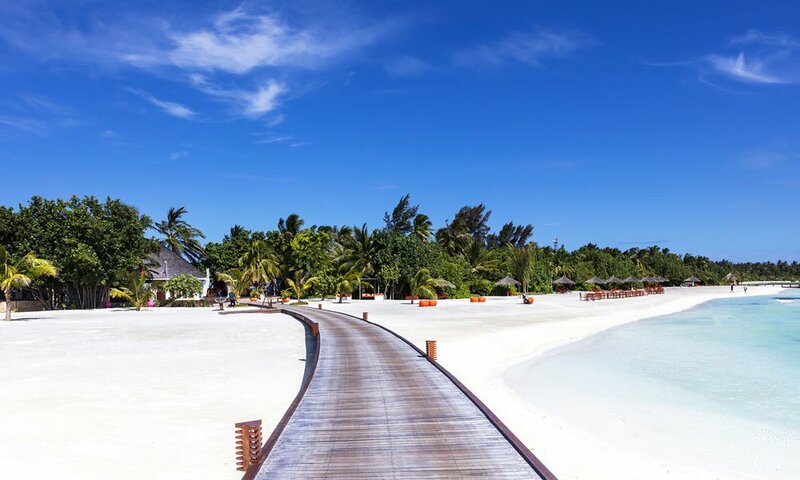 Sandy paths lined by lush jungle, connect the resort’s activity areas, small gardens and various accommodations, you’ll soon notice that wherever you walk or hang, the atmosphere at Olhuveli Beach & Spa Resort is genuinely relaxed, friendly and casual. As close to paradise as I could have possibly imagined.